J & M Towing is family owned business and we take pride in what we do. We are committed to providing the best service and competitive pricing on our towing & recovery services. We realize that if you’ve been involved in an accident or your vehicle has broken down, it’s already been a pretty bad day. That’s why when you contact J & M Towing, our guys will do everything possible to make your experience with us a great one. 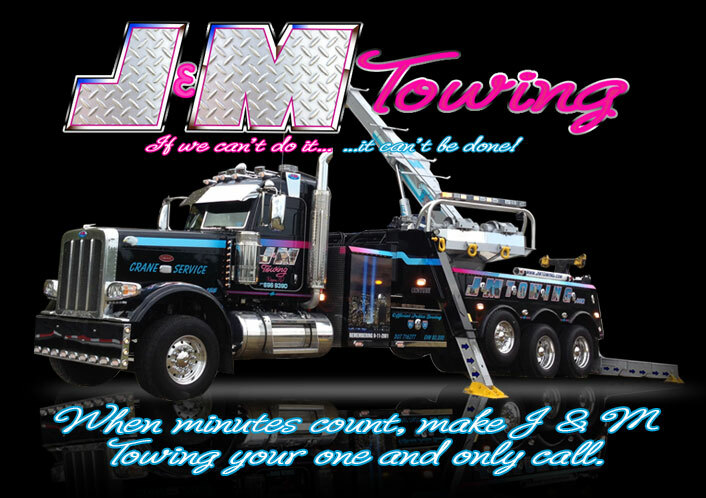 J & M Towing was started by Joe Laborda back in 1976 with only one truck. Through hard work and a commitment to always put the customers’ needs first, word got around and the business began to grow. In order to provide an expanded array of services and accommodate the many needs of our customers, we opened a new facility in 2008. This secure facility is equipped with security cameras, lights, and fencing all around so we are able to provide safe, secure indoor and outdoor storage of our customers’ vehicles. We also work with several area police departments who use our facility to store stolen cars and other vehicles because they know that valuable evidence won’t be tampered with!